With eight ready to ride OFSC touring loops beckoning for you to come explore some of the most diverse, exhilarating and memorable winter outings you have ever experienced, Sleddealers.ca recently asked me if I had to pick a different sled for each of this eight loops, which one would I choose as my tour chariot? 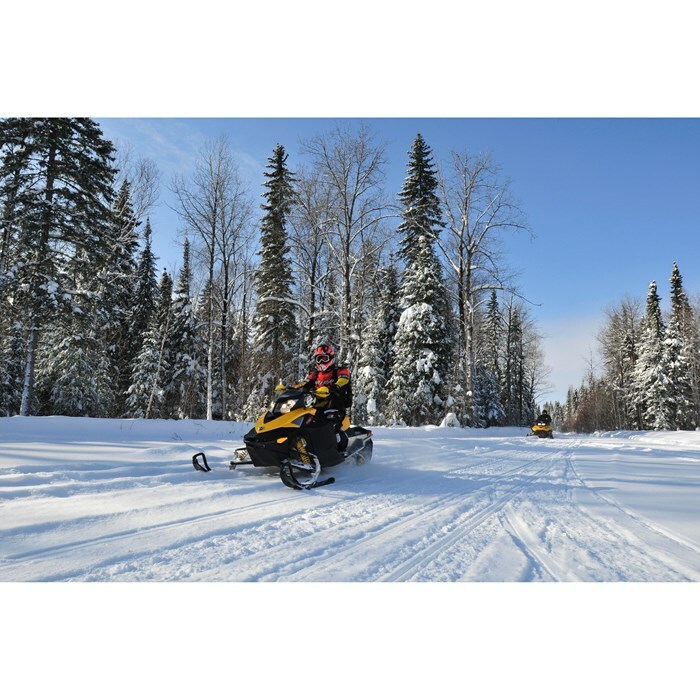 As noted above, the eight loops offer distinct diversity while seemingly providing the opportunity for almost anyone on any snowmobile to go sledding with confidence. 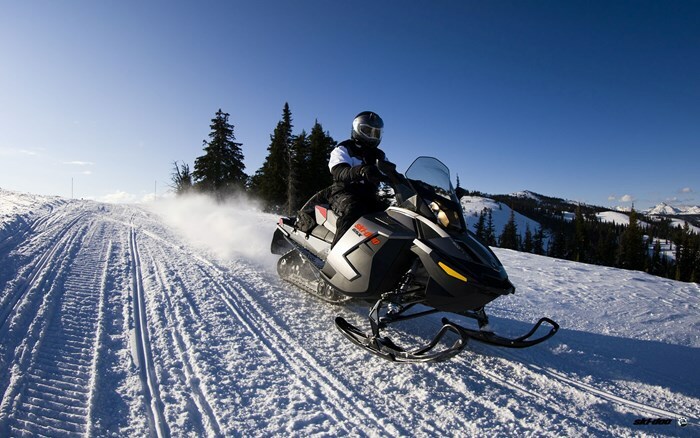 In the following list I will focus on the new 2014 iron from Arctic Cat, Polaris, Ski-Doo and Yamaha, nonetheless rest assured that each of these eight loops can be completed on your 1999 or older classic in comfort. I took the opportunity while down at the Toronto International Snowmobile, ATV & Powersports show with Northeastern Ontario Tourism to scout the 2014 sleds—further details on some of these models are available by listening to the OntarioSnowmobiler.ca podcast episode #2. The new 2014 Yamaha SR Viper Deluxe is well suited to ride into an atmosphere of proud French hospitality, warmth and friendliness as you complete two days in Ontario snowmobile paradise. The SR Viper Deluxe is powered by a high performance genesis 4 stroke and boasts a 40L (10.5gal) fuel tank, extending the machine’s mileage. You can combine this well-tuned power plant with convenience and ergonomic features such as a tall windshield, heated seat, storage bag and standard electric start. 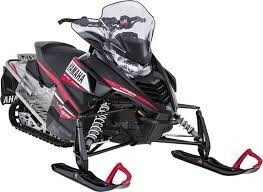 I’m confident that this Yamaha will make the connections in style and comfort without sacrificing the adrenaline boost. The Bon Echo Loop is situated in the heart of Ontario’s Highlands, offering some of Ontario’s best early and late season riding within a mix of abandoned rail lines, dense lakeside forests and well-maintained access roads. The 2014 Polaris Indy 600sp offers legendary reliability and performance, while not sacrificing any point’s on the fun meter. The Indy 600sp has fox shocks all around and propels forward with a CleanFire injection system that merely sips fuel out of the 43.5L (11.5 gallon) tank. The Indy 600sp is sure to haul you through the 232km of the Bon Echo Loop with ease no matter the time of year. It’s my pick for this loop because of its versatility and reliability. The RAP Tour is 700 km to 900 km’s of absolute bliss and, in order to make the most out of everything that the contrasting landscapes on the RAP throws at you, you’re going to need a well-cultured machine. The Ski-Doo XS Renegade Adrenaline 900 ACE is just that, a mix between an MXZ and a Summit offering a 137 length track and extended tunnel that allows you to bring a few extra things including your swimsuit for the hot-tub at the end of the day. The 1.25 137’ ripsaw track and rMotion rear suspensions along with the new Ski-Doo 900 ACE with three mapping options (Standard, Sport and ECO) make the Ski-Doo Renegade Adrenaline 900 ACE a great choice for any ride. However, for the RAP in particular it’s my pick, as this machine has the chivalry to tackle loose fresh snow, is incredibly reliable and is true to its name, allowing you to be a little bit of a renegade should the opportunity present itself. Ontario’s Ride the 8 snowmobile tour is right in the heart of the lake effect snow belt and in order to make the M.O.S.T (no pun intended) of this close to home tour, I’m recommending the Arctic Cat ZR 6000 El Tigre ES. The 6000 El Tigre ES is powered by the new C-TEC2 electronic injected 599cc 2-stroke that offers lots of get up and go for the hills surrounding the Blue Mountain area, or for blasting down that abandoned rail line on the TOP C. When you combine this advanced 2-stroke power plant with the ProCross Chassis, Slide Action Rear Suspension, Arctic Race Front Suspension, Deluxe Digital Gauges and a 45.4L (12gallon) tank, you can be sure that you’ll be ready for any crazy 8’s that this tour may throw at you! The Chiniguchi Wolf Loop will take you through some of Ontario’s oldest growth forest, and I’m thinking that this 223km tour is perfect for the Arctic Cat TZ1 LXR 1100. Some of the oldest red pines in the world are located within the Wolf Lake Forest Reserve that is home to Lynx, Moose and Timber Wolves. 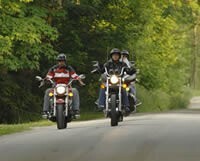 The scenery is spectacular and I plan to enjoy my ride with cozy features such as the heated driver and passenger seats, adjustable handlebars and 3 standard storage bags that can be used to pack everything including the camera gear. 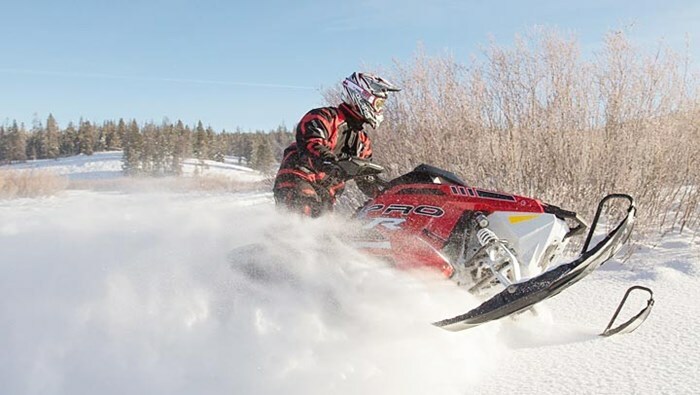 If you enjoy seeking adventure, consider hopping aboard the 2014 Polaris 800 Switchback Pro-R as you complete the Cartier Moose Loop in OFSC District 12. The Polaris 800 Switchback Pro-R comes complete with a 136 1.35’ PRO-RIDE Progressive Rear Suspension and is outfitted with Walker Evan Shocks front, centre and back. Although the Cartier Moose Loop is generally impeccably groomed like a table-top, it’s not uncommon to ride a few inches of fresh powder and I’m expecting to find this snow type as I climb to the top of Wolf Mountain to enjoy the view. The 136’ length 1.35’ lug height track delivers traction and is joined with the PRO-RIDE suspension that dishes out an essentially bottomless ride. The scenery on the Gold Rush Tour is unmatched and unrivalled, offering opportunities for photos that will make your Facebook or Instagram feed go viral. The 710km tour is perfectly matched for Ski-Doo’s GSX SE 1200 4-TEC that is in the very comfortable and capable XR chassis. The GSX SE rides on the R-Motion rear suspension with ARC (Air Control Suspension) and is propelled with a 137’ 1.25’ track. 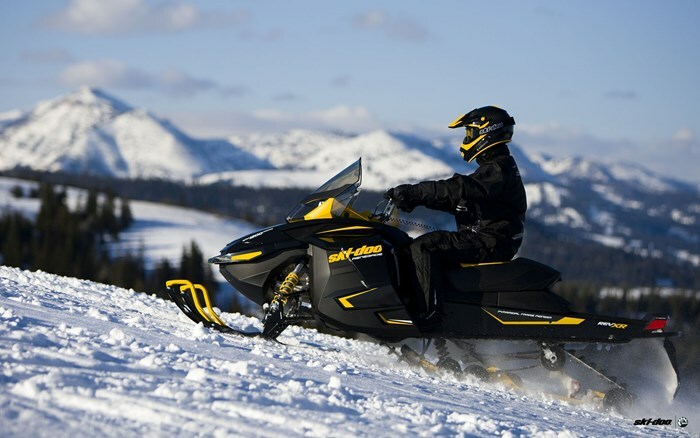 Ski-Doo built this snowmobile and included other slick ergo features including tilting handlebars, a heated seat and the LINQ Tunnel Bag which are perfect for those long days in the saddle. Be sure to check out SledDealers.ca’s video of this tour. 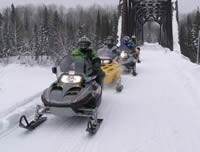 The Abitibi Canyon Loop is one of the wildest, most remote and furthest northern reaching groomed snowmobile trails in all of Ontario. 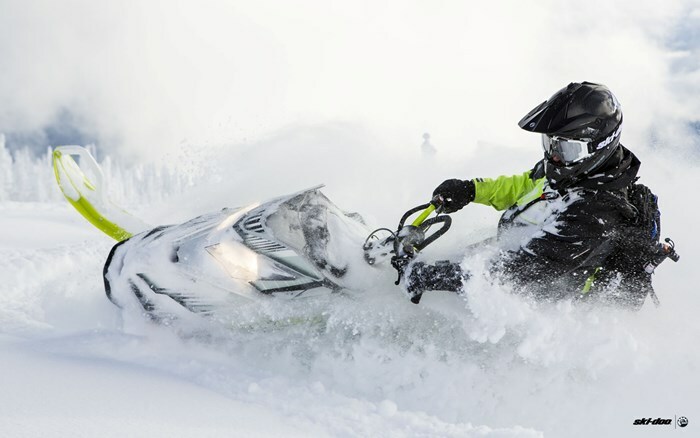 The entire tour embodies freedom from the normal, and the Ski-Doo Freeride 800 E-Tec is a sled that meets all challenges of its own accord. The Freeride comes equipped with the T-Motion rear suspension, KYB PRO 40 Shocks and a 2.5’ PowderMax 11 track all set in the REV-XM RS Chassis. The Abitibi Canyon area is known for vast hydro corridors, thick forests and one particular area that stands out from the relatively flat landscape that offers the opportunity to choose your own line. Gnarly terrain is where the Freeride shines—features like the standard Sway Bar Disconnects, flat facing gauges, lightweight seat and REV XM running boards make it easier to explore. Check out Northeastern Ontario’s contest to win a trip to the Abitibi Canyon. So there you have it, 8 sleds for 8 loops. Agree with me? 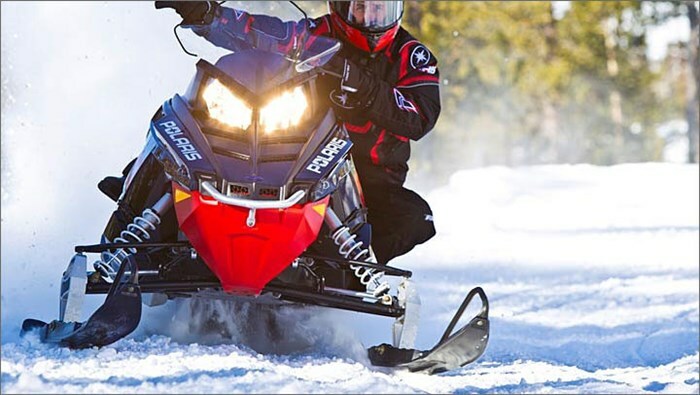 Or disagree… use #ontariosnowtrails and #lucrestyle and let me know what sled you would choose?